The evolution of neurocranial morphology in Homo sapiens is characterized by bulging of the parietal region, a feature unique to our species. In modern humans, expansion of the parietal surface occurs during the first year of life, in a morphogenetic stage which is absent in chimpanzees and Neandertals. 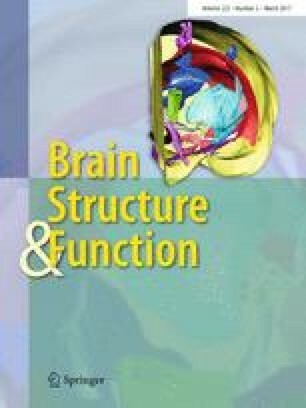 A similar variation in brain shape among living adult humans is associated with expansion of the precuneus. Using MRI-derived structural brain templates, we compare medial brain morphology between humans and chimpanzees through shape analysis and geometrical modeling. We find that the main spatial difference is a prominent expansion of the precuneus in our species, providing further evidence of evolutionary changes associated with this area. The precuneus is a major hub of brain organization, a central node of the default-mode network, and plays an essential role in visuospatial integration. Together, the comparative neuroanatomical and paleontological evidence suggest that precuneus expansion is a neurological specialization of H. sapiens that evolved in the last 150,000 years that may be associated with recent human cognitive specializations. The online version of this article (doi: 10.1007/s00429-015-1172-y) contains supplementary material, which is available to authorized users. This work was supported by National Institutes of Health Grants P01AG026423 and National Center for Research Resources P51RR165 (superceded by the Office of Research Infrastructure Programs/OD P51OD11132), by the John Templeton Foundation (award 40463), and by the Center for Behavioral Neuroscience. EB is funded by the Spanish Government (CGL2012-38434-C03-02/03) and by the Italian Institute of Anthropology. We are grateful to an anonymous reviewer for comments and suggestions on an earlier version of this article.